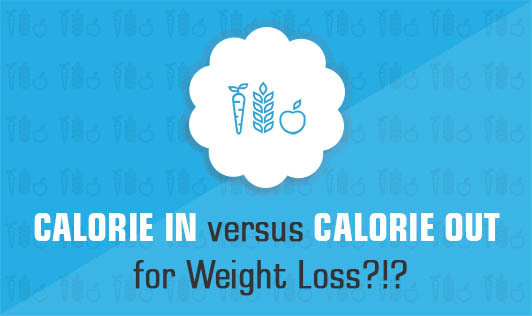 Calorie In versus Calorie Out for Weight Loss?!? Are you working out hard in the gym to burn more calories than you ate during the day to lose weight? Do you have a list of the foods that you eat with its calorie count, or you see potatoes or banana as only ‘calories'? If yes, then the first thing you need to know is, it is possible to calculate the exact calorie consumed/burnt only in a chemistry lab with electrodes fitted on your body. So, just to give you the facts, all the best calorie counts you get on the internet, is just a rough estimate. It could be a difference of even about a plus or minus 500 calories sometimes! Now that your weight loss technique of burning more calories than consumed is in doubt, this is probably the question on your mind. Then what is the best way to lose weight? Count your efforts and not the calories, as all Nutrition Experts say! Instead of working on burning 500 calories, work on planning for your next week's workout regimen. It can be as short as a 20minute work out for three days if you are regular. Fix up your week's menu for the right evening snack instead of going to the pakoda counter and running out of healthy snack choices. Make sure you do not skip your breakfast, lunch and dinner! Get sincere with your bedtime and stay away from your mobile phone or video games! These are a few realistic goals you can set and achieve instead of messing up with your calorie count. Count on your goals instead of counting on a treadmill that can display 500 calories burnt after sometime due to thin air even without standing on it!